Pay Per Click (PPC) Management. Affiliate Marketing: What Is “Affiliate Marketing”? How to use Quora for Marketing? How to analyze Facebook, Pinterest, Instagram, and Twitter. The complete Guide with all the needed steps for a successful Blog starting from scratch. Guide by Sara El Chaar, Last updated: February 22nd, 2018. I am very happy to share this blog with you. For the last 10 years, I have worked on many blogs from their inception. I have managed to create a real list to do and develop procedures to follow in order to guarantee a successful working blog. So I decided to write this blog to enable real beginners to create their own blog from the start without the need to know about programming, HTML and avoid making mistakes that can be quite costly. I am proud to say that many people followed this guide and created their own blog following the different steps stipulated in this guide. I highly recommend people to start a blog. Because it is nowadays not only a way to express yourself and talk about your problems, solutions, and experiences. It also has many other facets. It can be a way to share your knowledge as an expert and even make money out of it. So, when do you want to start? Don’t worry if you are a real beginner because you can avoid this way going the wrong way and making costly mistakes. This is the main reason and objective of me writing this post. I want to help real beginners to start their blog. The way to do it is to follow meticulously the different steps. The good news is you don’t need to spend hours reading long tutorials that don’t explain how you need to proceed. Besides, not knowing about HTML won’t be an obstacle to have your blog running properly. In fact, many people have set up their blogs using this guide! I’ve gathered all the steps in this guide so all you have to do is the follow those 6 steps in order to make your blog running in no time. Decide what blogging platform you want to opt for. The main objective of this post is to be able to help you start creating your blog. With the years of experience working on blogs, I discovered that many people start on the wrong foot leading to many mistakes. Sometimes, the consequences are stopping with the project. I will do everything in my power to help you avoid this. I am here to enable you to understand and allow you to put in place all the processes needed so as to create and maintain a successful blog. Are you ready to dive in and start a blog? It is important to have the necessary time and the right disposition to read and understand this post. It is about 5500 words long (equating to approximately 25 minutes). So get yourself comfortable and let’s start. Because at the end of this post, you will be able to set up your blog, host it yourself and it all will be done the right way from the very first attempt. Do you feel like starting right now? It is fine by me, let’s dive in. The first step you have to think about is the choice of your blogging platform. Don’t worry about what it will look like, just concentrate on choosing the right one. Nonetheless, taking in consideration that WORDPRESS RUNS 28.9% OF THE ENTIRE INTERNET and around 19,500,000 websites on the entire web use WordPress, you don’t have to think twice about choosing WordPress as the right choice for the blogging platform. In addition to that, all my own blogs (more than a 100) are solely built with WordPress. Most noteworthy: ven my own blogs and sites are built with the WordPress blogging platform. The cost is Zero (in other words, it is FREE). Furthermore, this free blogging platform includes a huge variety of free themes, add-ons, plugins, layouts etc….). And this excellent service isn’t provided by other blogging platforms. The set up is for dummies upward, anyone can do it and it is super easy. 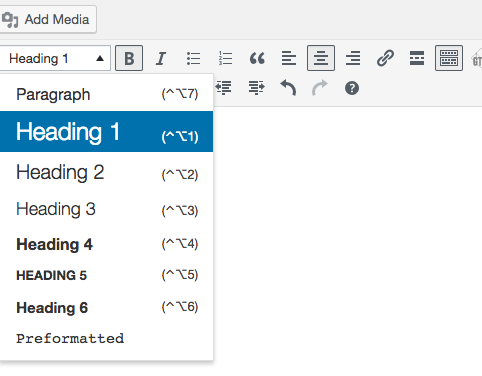 You can customise your blog the way you really want. 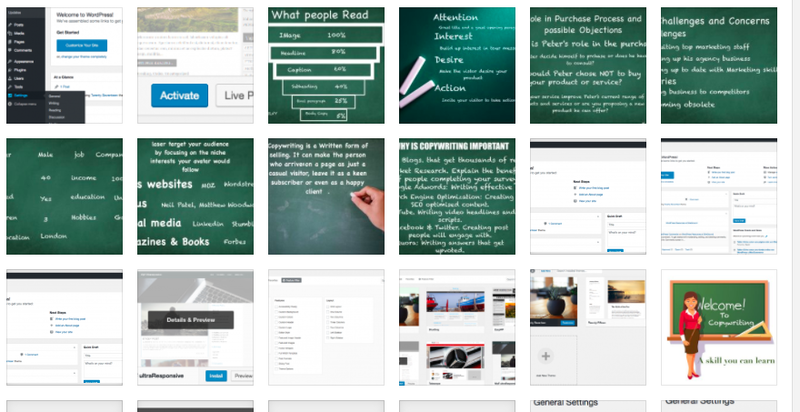 It means you can choose the theme that adapts best to your blog. You have an infinite variety of plugins that will enable your blog to be extremely optimised (a key point for a good performance of the site). WordPress is scalable. You can have just a small blog but also top companies use it on a very high scale and no hiccups. Social media plugins are very easily integrated on WordPress. You will be able to spread the news so quickly and share it with the whole world. The security of WordPress is irreproachable. Every 2-3 months (sometimes less), there is an update on the software which makes your blog safe and secure. No worries about being hacked and that is one of the main reasons why top blogs opt for WordPress as the blogging platform to use. Here are few examples of Top Examples using WordPress. So, I can continue elaborating the benefits of WordPress for another 1000 words at least but we are here to create the blog from A to Z. So without the slightest doubt, I opt for WordPress. In summary, it is by far the best blogging platform when it comes to customisation options and facility for the setup. It is extremely convenient for beginners. It is definitely recommended and even imperative to find a non-free hosting provider for your WordPress blog. Have you ever seen an important blogging website having freeblogs.com in it? Well, I haven’t. It isn’t the main reason to avoid the free blogging platforms. I will enumerate some of the problems encountered with these free platforms. You don’t own the blog and can’t control its content: there is a risk for your blog to be shut for no obvious reason and you can lose all the work that you have done. It could be an extremely frustrating situation to be avoided at any cost. You can’t advertise on your blog: many people want to create their own blog for it to become a source of income and not only to be limited to a non-lucrative hobby. The URL of your blog will be too long and your future clients will be having difficulties in remembering it. It is important to find a memorable or a branded URL that people can easily recognise or remember. You’re not allowed to advertise on most free blogging platforms, making it impossible to earn further income. Appearance: the free blogging platforms are very limited on templates which is a total contrast with the abundance of templates on WordPress. So, are we 100% for WordPress? I recommend starting with a blog using a hosting provider for your own domain. You will see, it is very easy to set up and more than affordable. How to find the domain name and the web hosting provider? 1- Domain name – a domain name is the URL that people need to type to find you. A very simple example to illustrate that is Amazon in the United States. The domain name is www.amazon.com (the extension can vary depending on the country). But the most common and used one is www.yourblogname.com. The cost of a domain name is roughly about 8-10 $10/year. But I have a nice surprise for you. Continue reading the blog and you can get your domain name for a cheaper price. Just be patient. 2- Web hosting – It is a service that allows organisations and individuals to post a website or web page onto the Internet. What it does is store all the content (posts, pages) of your website and make it available to computers connected to the Internet. So, you won’t be able to use your domain if it isn’t hosted. The cost of web hosting varies between $1-6 per month. It isn’t a huge investment but a necessity for the success of your blog. Where should I get my domain name and hosting? You need to be aware of 3 important factors when it comes to hosting. When it comes to hosting, there are only three things that matter. The uptime of the hosting provider: it has to be 100% (99,9% isn’t acceptable. Page load speed: it is the time it takes to download and display the entire content of a webpage in the browser (measured in seconds). Support: It is important to have a support team available when you need some advice or help. There are many many providers on the web with similar services and the range of prices is also quite alike. With my years of experience and the number of hosting companies I have dealt with, I would only recommend to work with www.siteground.com as a web hosting provider and also to buy your domain name. Siteground has been officially recommended by WordPress.org, Joomla, and Drupal. It has the best results when it comes uptime, load speed, and support. Their support team is also available 24/7. It is quick, efficient and extremely helpful. SiteGround has great performance, they are easy to use and it’s probably the most convenient for beginners. Nevertheless, you can choose another web hosting provider as long as they are quick, trustworthy, with unlimited storage & bandwidth. It is good to avoid problems in the future. Now that you have a good understanding of blogging platforms, it is time to start the procedure to set up your blog. In case, you don’t feel ready to jump in, because you need to think about the domain name you need to acquire, don’t worry. Click here to sign up so that when you’re ready, you can pick up right where you left off. In this step, you will be able to have your WordPress blog self-hosted and with the domain name, you have chosen. It is very exciting. I will show you also how to get your domain name in case you haven’t already got one. In the event of deciding to choose another web hosting that isn’t SiteGround, I don’t think the results would be as good but most probably the setup and registration are quite similar. Though, with siteGround, the installation of WordPress is done with one click. This easy feature isn’t provided by all web hosting providers and you need to follow this guide in order to install WordPress (which I don’t recommend for beginners). Have you already got a domain name? If it is the case, just write it in the box below and continue to proceed. Deciding what the name of your domain is an important decision. Unfortunately, it is a very common mistake among bloggers. To avoid making this mistake yourself, follow the advice below. 1. Uncomplicated name and easy to memorise. Avoid choosing a name that doesn’t make any sense. Also avoid a name quite difficult to spell, or a very long name difficult to remember and full of dashes. Here is an example to help you understand: “www.the-best-kitchen-recipe-tips-for-you.com”. It isn’t an easy URL to recall but “www.recipetips.com” is far more catchy and very easy to use. 2. Use the right keywords describing your blog. You need your visitors to understand what you want to talk about by seeing your URL. For example www.learnenglish.com is about learning English as a (foreign or other) language. 3. Reliable. The best is to use domain extensions like “.com”, “.net” or “.org” and also “.co” (the “.co” has been introduced in the last 2 years by Google. The objective was to help people finding the domain they want when the “.com” isn’t available). I wouldn’t recommend using strange extensions such as “.firm.in”, as “.org.nz”. They aren’t extensions easily remembered or used and not as much trusted as the ones mentioned above. What if the name is already taken? I hope with those useful tips, you can find the right domain name. When you type the name you want with the extension you want, SiteGround would tell you if the domain is available. If it is the case, you can buy. In the opposite case, you need to look for another domain name that is available and then you click on next. I would prefer the latest option then try to use the name you want with a non-common extension. I recommend the “StartUp” plan for now. But you can upgrade anytime you like, in case you need more space and more features. Let’s start with this one first as it will be enough for the time being. This plan we have already opted for before when we went to WordPress hosting. Once you’ve chosen the domain name and the hosting plan, complete the registration. This is done by filling all the details of contact and billing information. Once you have finished the registration, you will have an email sent to you (the email you used for the registration). Don’t worry, it takes up few minutes before you receive the email for the activation of the account. Once you login to your customer area, you go to “My Accounts“. It is on the top left, just after Home. When you are on “My Accounts”, you go to the Cpanel so we can at last install the WordPress. It is quite an easy process. If you can’t see WordPress, it isn’t a problem, you just scroll down to the section called: “the Software & Services”. Afterwards you must on click on the icon soft (“Softaculous“). It is where you can decide which blogging platform you want to install, as we know, we will choose WordPress. All you have to do is click on the install button of WordPress. You are now only few clicks away from having your WordPress installed. On the software setup, you choose http:// or http://www. (depending on the URL you want to have). It is more common to see http://www. so I recommend this option. As you can see, there are also https:// or https://www. In reality, https:// enables you to have a secure site. This is a must, especially if you want to make money out of this site. Do you know that Google is even penalising sites that aren’t secure? But don’t worry, with SiteGround you can make your site secure and it is FREE. Just bear with me and you will know how to do it in the next steps to come. So, let’s go back and opt for http:// www. and put the domain name. Scroll down and then fill in the username and the admin password and the admin email. It is important to avoid using admin as the username and try to find a strong password. This is done by using capital letters, numbers and signs like %?_ etc… Your admin email has to be an email you frequently use so if there is any notification, you will be able to see it. You can select the language if you want it different from English. Then you scroll to the end and you click install. It will take about few minutes for the WordPress to be installed. Once it is 100% installed, you will get an email showing your administrative URL. It is http://www.yourdomainname.com/wp-admin. Log in with the credentials you used to be able to login to WordPress. To log in to your blog, all you have to do is to click the admin URL or copy it in a new tab. Then, add your username and password. And when you go to your site, you will see something like that. Now, you have managed successfully to install WordPress and set up your blog. As I mentioned it previously, it is a must to have nowadays your site secure. Google has started penalising websites that aren’t secure. HTTPS stands for “HyperText Transport Protocol Secure.” HTTPS is the same thing as HTTP but uses a secure socket layer (SSL) for security purposes. The sites that usually use HTTPS include banking, e-commerce websites, and most websites that require you to log in. So, let’s go to work and install the SSL certificate. I forgot to mention that one of the reasons why I have chosen SiteGround is the fact they offer for FREE the SSL. It isn’t the case with other hosting providers and the cost can go up to 69$ a year (it is a large sum of money). In the event of choosing another hosting provider that isn’t SiteGround, I recommend you contact them to see how they can install the SSL certificate. you can add your email before clicking on install. You will see, it will take up to few minutes before the installation is complete. And then all you have to do is click on ok once the installation is complete. you scroll down at the end and click on save. Here you will see, you will log out instantly and once you put again your WordPress credentials, you will see it has become a secure site. It is fascinating, isn’t it? Now that your blog is set up, sign up for my FREE blogging course for tips on how to get readers, earn money, and personalize your blog. Or read on to learn how to design your blog and make your first post. So far, we managed to install WordPress and make it a secure site. Please, remember, every time you need to go to the WordPress site, you have to go to www.yourdomainname.com/wp-admin and use the credentials you used with the setup. The good news is you have an amazing variety of free themes to choose from. There are more than 2000 themes that are easily customized. I will give you some tips to help you select the theme you would love to have on your blog. once you have clicked on themes, you will see the list of themes that have been already installed. Now, if you want to discover the different themes you can have access to, you simply click on “Add New Theme”. As you can see on the screen above, just under Add Themes, you have a line where it is written Featured, Popular, Latest, Favorites and Feature Filter and a bar called Search Themes (quite a choice). So you can have a serious look at all these options to see if you can find a theme you like. I highly recommend you to use the “Feature Filter” option because you can find the adequate theme that corresponds to the criteria you need. And as to the layout, you decide if you want a right sidebar or a left sidebar, if it is one column, three columns etc.. However, in a different tutorial called Elementor, I will let you discover an amazing plugin called Elementor and you can create an amazing homepage, pages, and posts etc…. When you have chosen the theme, all you need to do is to click on “Install”. In order to have a blog that is search engine friendly, you need to avoid 2 things that are quite disliked by the search engines. A search engine friendly URL is important– so https://www.yourdomainame.com/2018/02/05/sample-post/isn’t easy to remember at all and not very SEO friendly as the robots don’t take in consideration the date when the article was published. There is an efficient way to make it better. https://www.yourdomainame.com/%ycategory%/%postname%/. I will explain why. Imagine you have an e-commerce and you are selling clothes. So it is important to categorise the products like “men clothing” and “woman clothing”. Let me illustrate it with an example: https://www.shoponline.com/men-clothing/trousers. Please, remember to save the changes when you scroll to the bottom. It was quite easy, wasn’t it? All that is left to be able to have this customed structure is to know how to create a category. Then you click on Categories, and you simply add the category you want. Make it simple with the proper keywords (we previously used some examples of men clothing, French cuisine etc…). We need to add a new category that reflects what we want to talk about. I will go into more details when I show you how to create posts. Spam comments – Many people when you start a blog start sending spam comments on your site (blog). They do it so your readers can leave your blog and see their products or services they are advertising for. We have done many things so far. We managed to buy a domain name, to host it, to install WordPress, to make it a secure site, to customise the theme and make it SEO friendly (search engine optimisation). What a fantastic experience we are having together! There are still many things to learn but WELL DONE Guys! As we mentioned previously, it is important to create the category to have a relevant URL. In the example illustrated below, you will be able to do it quite easily. I have created the category “French cuisine”, so we can create the post “duck a l’orange” (which is known to be a famous French recipe) and it is relevant to French cuisine. To add a new blog post, you need to click on “Posts”. And you will see, you will have different options, you need to click on the “Add New“. It is a perfect URL and relevant and definitely search engines friendly. As we know how to write the title, you can start writing the content in the box below. You can save your draft if you don’t want to publish your post straight away but you can also publish it whenever you think it is time to do it (it can be straight away or schedule it for later). Once you have published your post, you will be able to find it in the section “All Posts”, then you can select the “Post” and edit it anytime. In order to have an interesting content, linking to other sources (external or internal) is quite important. So, if you want to add a link, you click on the icon in the toolbar that looks a bit like a chain link (where it says insert/edit link) – as shown below. 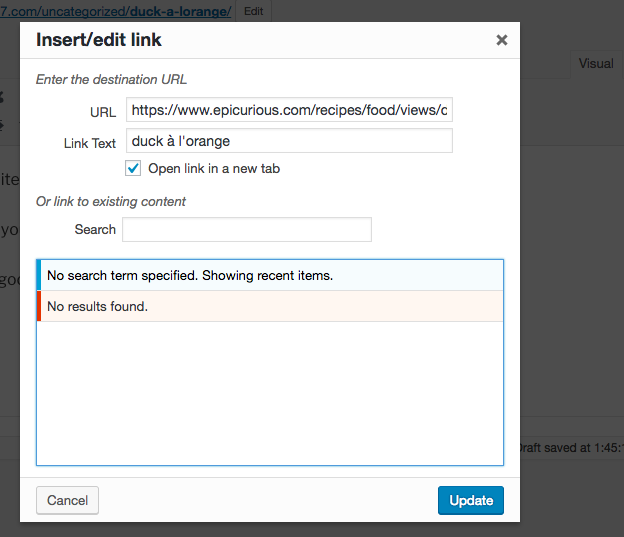 Now, to insert the link, you have to select the keywords you want to put the link on, in the example below, I want to use the “duck à L’orange” and link it externally to an interesting URL where it gives the ingredients and how to prepare the recipe. You insert the URL you have copies entirely, it should start with http or https and you click on the blue arrow. With the pencil icon you can edit the link whenever you like, by changing the URL for example. Next to the pencil icon, three is the icon of a breaking chain, so if you want simply to remove the link, you only need to click on it. and then you use the option you need and then you update. It is quite simple. 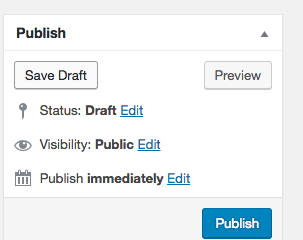 Once you have got the file you need, you click on it and it will be uploaded automatically to WordPress. And the image will appear on your post. When you use Headers and bolding and other text editing, you help your reader to understand the content better and it is easier for the robots too. We will look at some pointers to see how we can improve the form of your post. You can use all the Headings but the main ones are Headings 2 and 3. “Ω” helps you insert special characters. This entry was posted in Marketing Blog and tagged how do to start a blog, how to start a blog, start a blog. Bookmark the permalink.